This week's wine came as a sample from WineQ as part of their Beta Club. 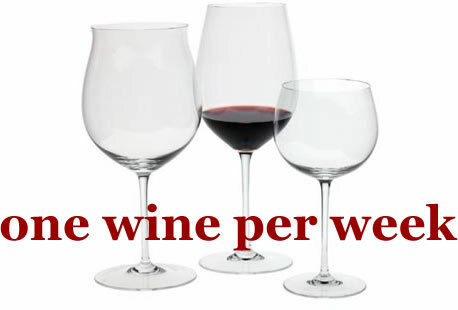 The price per the WineQ site is $28.99. 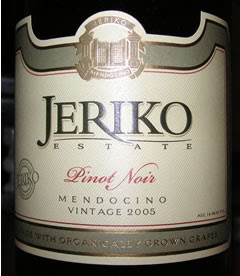 All of the Jeriko Estate wines are made from 100% organically grown and certified grapes grown in the Mendocino Valley. So what's this wine like? Strawberries, cherries and an angel's kiss in spring.. oops, that's a Nancy Sinatra/Lee Hazelwood song, Summer Wine. Seriously though, that's what I got on the nose and the palate: strawberries, cherries, raspberries, smoked meat (reminds me of those Slim Jim meat sticks Costco sells), hints of pepper, spice, dark chocolate and a bit of underbrush. The tannins and acidity were nicely balanced and integrated in this wine and it had a lovely, silky, mouthfeel. The finish lasted a long time, too. Is it worth $28.99? That's on the high side for me, but considering what pinot noirs cost these days, I would say if you want a really good pinot noir, spend the money and get this one. It is really good and easily worth the expenditure. Two thumbs way up on this one. Note: if you don't see the video above, click here. It's worth a listen/view! Beautiful, just beautiful! The Moonlighting video brought a tear to my eye. Really, quite a lovely review... Glad you enjoyed it so much.